I have been listening to a book called Reclaiming Conversation this week while driving from Buffalo. In it, the author (Sherry Turkle) reminds us that we are turning more and more to electronic devices rather than each other for interaction and connection. This is true especially for younger generations. I believe her hope in writing the book is to help those of us who are older and used to talking with each other to remind our younger family members and friends how important it is to actually talk to one another. She gave a definition that captured my imagination -- conversation is tending to one another. I love that idea of tending to one another. There is a give and take, an emotional connection, a sense of inclusion, a feeling that each participant in the conversation has value. I think the reason I like the idea of tending to one another is because that is what we do in church. We demonstrate a capacity to care for one another, to connect emotionally, to include others and to value one another. It is not easy, especially with the distractions of what we might find on our devices. BUT, it is important. As we move through the season of Advent with shopping and parties and family events, consider how you might tend to one another more fully. Being present without devices may be one way. Being focused on your children or on your parents or grandparents fully for a period of time may be another. 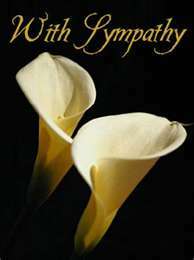 In moments of conversation, or quiet sitting together, problems can be solved, sympathy exchanged, weariness released, joy expressed. As we move toward Christmas we anticipate the coming of the Good Shepherd, the one who tends us without fail, without disappointment, without rancor. Let us rejoice in this gift. Let us share this grace by tending to one another with our conversations, with our love, with our peace. May this season be filled with grace, joy and peace for each of you. 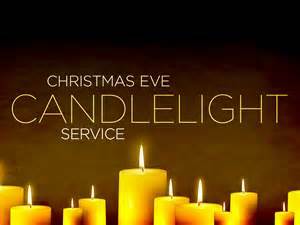 Please join us for our Candlelight Service on Christmas Eve at 7:00 p.m. The shopping is done, presents wrapped and now it's time to stop and focus on the true reason for the season. Jesus Christ, who came to earth as a human child to forgive mankind for its sins, is why we gather on this holiest of nights. Join us for a special service; and light candles symbolizing Jesus as the Light of the World. We look forward to seeing you Christmas Eve! 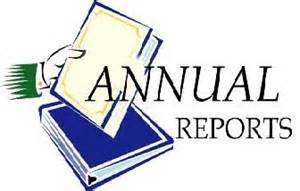 With the end of the year comes the preparation of all ANNUAL REPORTS from committees, boards and organizations. 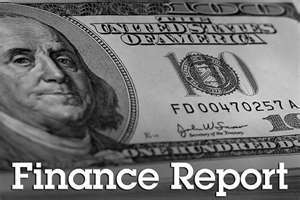 The deadline for the reports is Tuesday, January 3, 2017. This in preparation of the January annual meeting. Copies of the Annual Report will be available one week prior to the meeting. A letter with pledge cards was mailed Tuesday, November 29, 2016. If you didn't receive a letter and pledge card, and you would like one, please call the church office/326-2643. Please complete your pledge card and bring it to worship on December 11 when we will receive your intentions and dedicate them to the glory of God. You will be enriched ine very way so that you can be generous on every occasion, and through us your generosity will result in thanksgivingn to God. The church has commemorative glass tumblers, goblets and ornaments available. The glassware has an etched picture of the church and the ornament is a reproduction of the church building on porcelain. 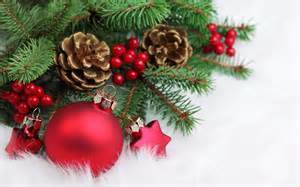 The cost for each is as follows: ornaments - $10.00, glass tumblers - $5.00 and goblets - $6.00. To acquire a piece of history, please call the church office at (716) 326-2643. If you are not local - arrangements can be made to have items(s) mailed. Thank you for your support! The Christmas Joy Offering celebrates the coming of Jesus Christ, the "wondrous gift" of God with us. Jesus arrived in a humble stable in small and insignificant Bethlehem, to lead and teach in truth and love, and bring about God's salvation to the world. What a "wondrous gift" indeed! This was a gift so profound that the only response was the bringing of more gifts; the Magi arrived with gold, frankincense and myrrh to honor the Christ child. Devoted and caring leaders have led many of us in the way of Christ. They have been church workers equipping us to respond to the grace we have known in Jesus Christ, and they have been God's gifts among us. As we celebrate Christ's coming, and think of the profound impact these individuals have had on us, the Christmas Joy Offering provides a way for us to offer a gift in response. Gifts to the Christmas Joy Offering will raise up leaders from small places that are too often overlooked by the church. The historically Presbyterian racial ethnic schools were founded to educate emerging leaders from under-represented groups so leadership in the church would better reflect the diversity of God's people. Half of the Christmas Joy Offering supports the continued ministry of educating and forming Christian leaders. The other half of the Offering honors those leaders who serve and have served us well. Through the Assistance Program of the Board of Pensions, current and retired church workers who experience need because of tragedy, health concerns or financial hardship can receive assistance from the church they have served so well. In gratitude to God for the wondrous gift of Jesus, please join in this celebration of God's presence with us by supporting those in need of help and hope. 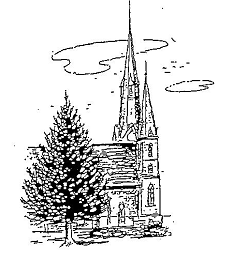 Envelopes for the Offering are available in the pew racks, or gifts can be mailed to the church office at 49 South Portage Street, Westfield, NY 14787, earmarked "Christmas Joy Offering." Thank you for your gifts! The "Angels" were available for pick-up after the worship service on November 6 & 13. 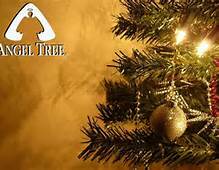 By adopting an "Angel" you are making this season a bit brighter for many who would otherwise not have a Merry Christmas. For those of you who adopted an "Angel" - remember we must have your gift by Sunday, December 11, for a special dedication. Guidelines for your "Angel" gift: Have your angels number taped securely to your gift(s). Union Relief requests that all gifts be UNWRAPPED, gift boxes or bags are acceptable. A heartfelt thank you to those members and friends who filled a shoe box(es). 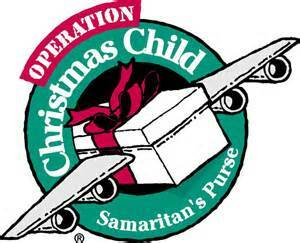 You have brought joy and hope to children in desperate situations worldwide through your gift-filled shoe box(es). A total of 14 shoe boxes was delivered to the collection center in North East, PA. We will let you know when we are notified where our boxes were shipped. 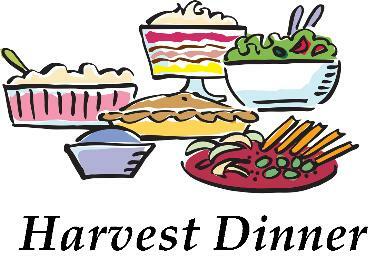 The Presbyterian Women and the Mission Committee would like to thank all the volunteers who gave their time and talents to the 2016 Harvest Dinners. The dinners would not been successful without your help! The profit for the 2016 dinners was $4,472.92. As a church we are participating in TOPS Markets "Cash for Cuases" program. WE have purchased TOPS "Cash for Causes" gift cards that are available to church members and friends. You pay the cash value of the card and the church earns 5% on each card sold. We all buy groceries! There is no additional cost to you; you simply use the gift card. Cards are available in $25, $50 and $100 denominations. Please call (326-2643) or stop in the church office to purchase a gift card. The kitchen in the church is missing a large blue and white enamel roaster. It was discovered missing after the Harvest Dinners at the end of October. 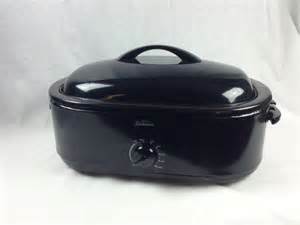 If it has been borrowed we would appreciate it being returned to the kitchen. Thank you! Following the call to order by Moderator Rev. Catherine Rieley-Goddard and devotions and prayer by Mike Ricketts, the Session took up the work of the church on Tuesday, November 17, 2016. 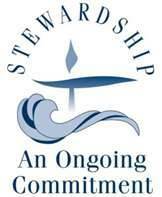 ~ Accepted the Ministry Information Form with praise to the Pastor Nominating Committee for a job well done. ~ Accepted the lease agreement with Lake Shore Center for the Arts to lease three (3) rooms on the upper floor of the Christian Education Building. ~ Agreed to host the Presbytery of WNY branch meeting on Tuesday, January 10, 2017. 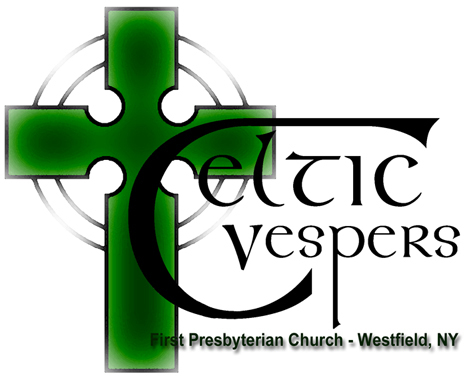 First Presbyterian Church of Westfield will host a Celtic Vespers service in December. This service is influenced by and based upon ancient Celtic worship as well as its modern survivals in worship communities much like the famous Iona Community in Scotland. 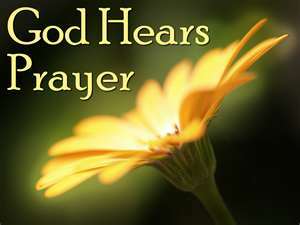 Celtic Vespers is a beautiful service of evening prayer and will feature responsorial Psalms, prayers from the Carmina Gadelica, music based on Celtic tunes and a recitation of The Lord's Prayer in Gaelic. 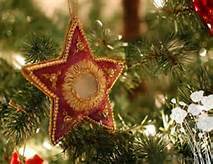 Please join First Presbyterian Church at 7:00 p.m. on Thursday, December 15 ~ and bring your family and friends! 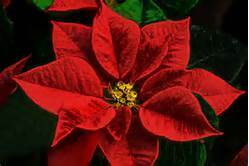 Christmas Poinsettias - Now is the time to remember your loved one by donating to the Flower Fund. By giving a Christmas memorial, you will make possible the lovely display of poinsettias and the beautiful live wreaths on the outside doors as a gift to us and to the entire village. is in memory of or in honor of and by whom the gift is given. Each poinsettia is $11.00. After our Christmas Eve service, the Deacons will distribute the poinsettias to our shut-ins. Should you elect to take your donation to one of our members or otherwise, PLEASE let the office know your intentions so enough poinsettias can be ordered. 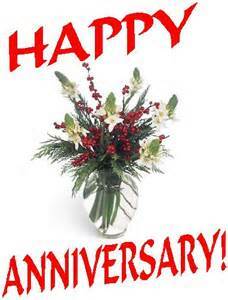 Darrell Colgrove, Dee Jensen, Mary Grygier (Sister of Elaine Parker), Mike Strada (Brother of Elaine Parker), Jeff Greabell, the Pandolph/Peary Families (Friends of John Daily), Lois Lindstrom (mother other Kathy Ricketts), Lexie Friedrich and Cathy Vilardo-Strobl.